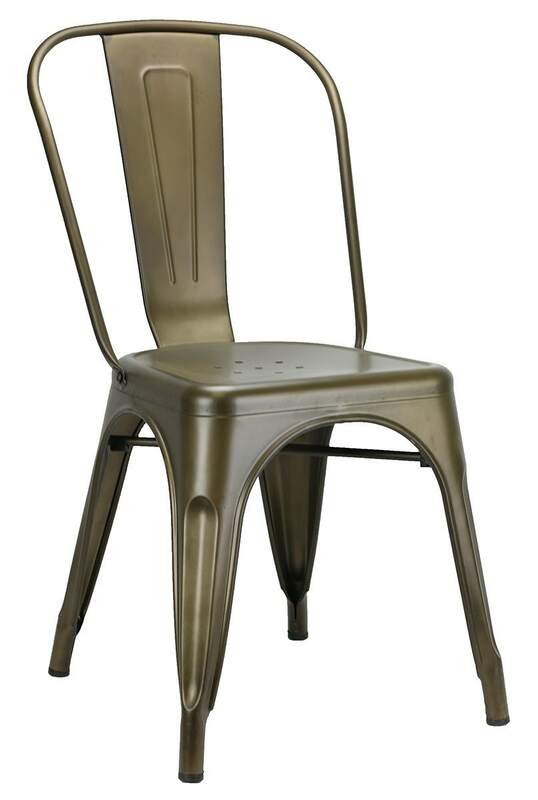 Based on the classic mid-century design, our Tolix-style metal cafe chairs are perfect for your event rental activities, venue, restaurant and more. The concave seat and curved back make for comfortable seating, with the look your guests will appreciate. Special event companies know that storage and transportation can mean the difference in profitability. These chairs stack for convenient storage and can be moved with ease. Stack these chairs up to 8 chairs high. Rubber bumpers protect the chairs while stacked. 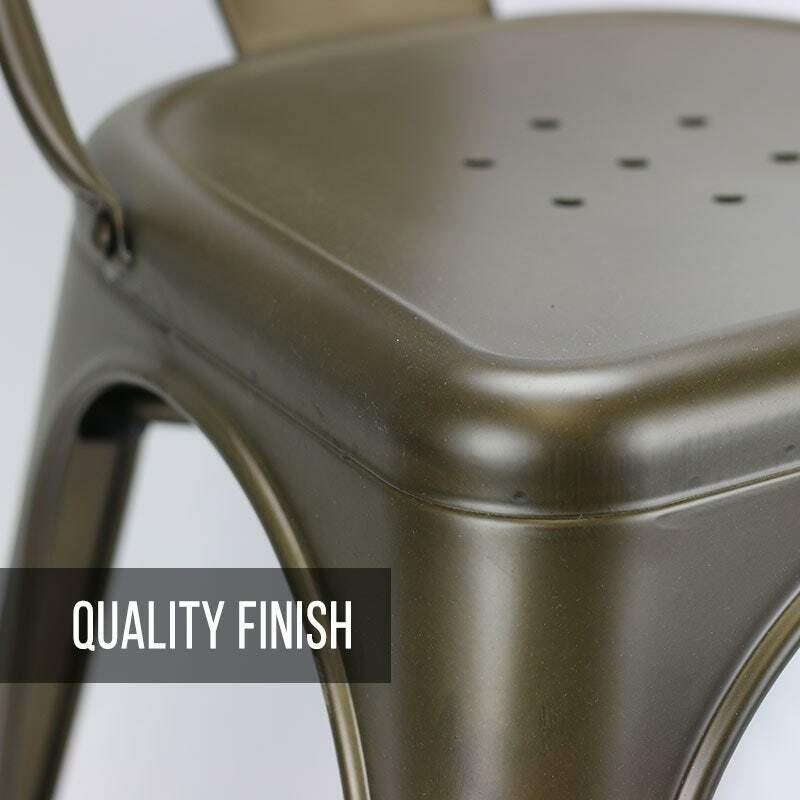 Included drain holes in the seat allow for rapid drying after and unexpected shower or spilled drink. 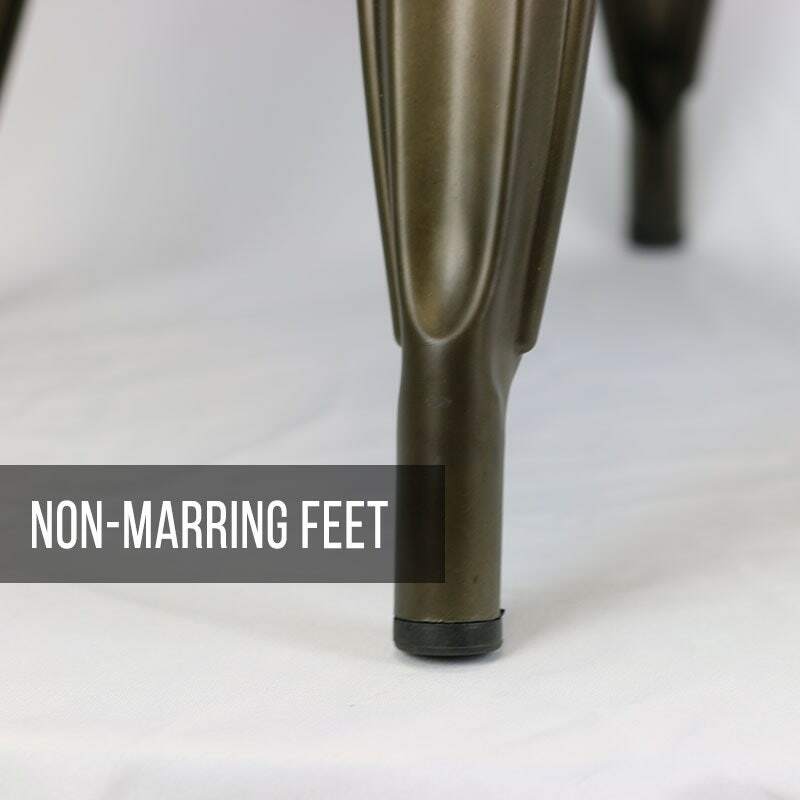 Your hardwood floors won’t feel a thing during your events due to the protective rubber floor glides on these chairs.